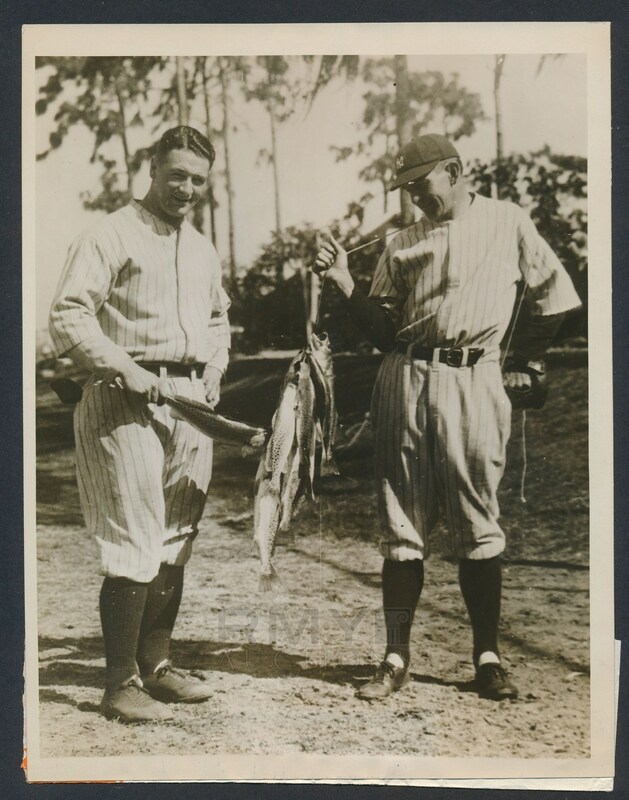 Lot # 32: 1927 Lou Gehrig and Bob Shawkey, "Yankees Stars at Spring Training" Fishing in Full Uniform! c.1927 Lou Gehrig photo in uniform at Spring Training with the Yankees and posing with Bob Shawkey and some fish they had caught during their time off. 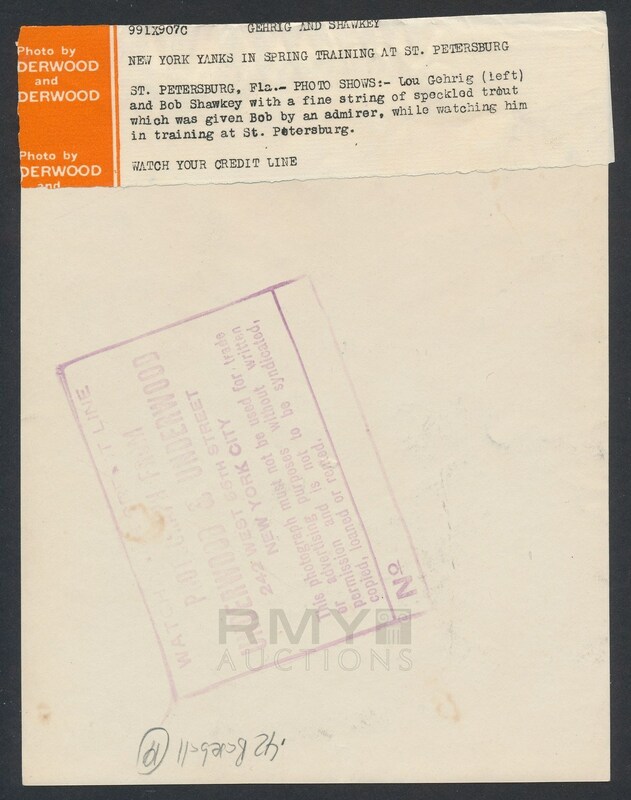 Issued by Underwood and Underwood this is a wonderful image with a full paper caption on the back and in really nice condition grading a perfect 10/10!